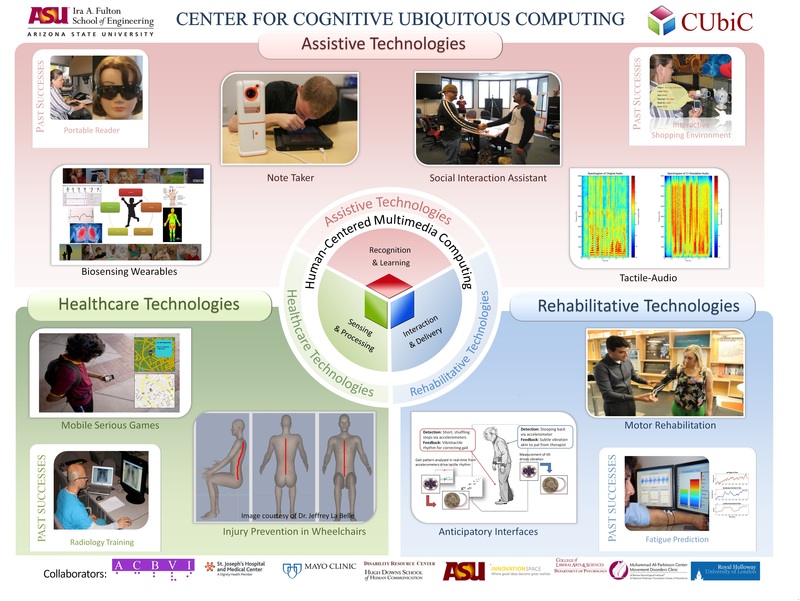 The Center for Cognitive Ubiquitous Computing (CUbiC) at Arizona State University is an inter-disciplinary research center focused on cutting edge research in human-centered multimedia computing focusing on assistive, rehabilitative and healthcare applications. Our research spans three main areas of multimedia computing: sensing and processing, recognition and learning, interaction and delivery. 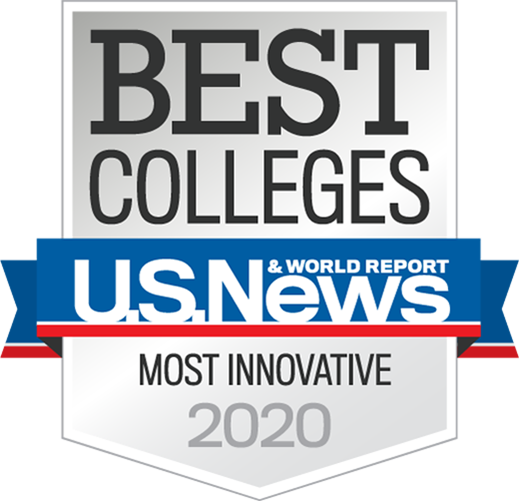 These research areas have led us to make fundamental contributions in signal processing, computer vision, pattern recognition, machine learning, human-computer interaction and haptics. Most ubiquitous computing research takes a technology-centric view in solving real world problems. It is our belief that a balanced technology and problem-centric view is required in tackling challenging application domains. We also believe that by targeting applications that require ubiquitous computing solutions, in contrast to applications with a ubiquitous computing flavor brings out the underlying challenges that need to be addressed. In keeping with this spirit, we have chosen to serve the needs of physically challenged individuals by empowering them with ubiquitous and pervasive computing technologies to enrich their lives. While our application domain problems are inspired by challenges faced by individuals with disabilities, the technology solutions that we develop are fundamental, and pertinent to a large portion of society, including the so-called 'able-bodied' individuals. CUbiC’s flagship project iCARE for individuals who are blind and visually impaired won the Governor’s Innovator of the Year in Academia Award in November 2004. We enjoy showing our research to our visitors and collaborators. Come visit us! Sethuraman “Panch” Panchanathan leads the knowledge enterprise development at Arizona State University, which advances research, innovation, strategic partnerships, entrepreneurship, global and economic development at ASU. 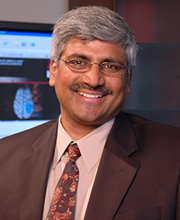 In 2014, Panchanathan was appointed by President Barack Obama to the U.S. National Science Board (NSB) and is Chair of the Committee on Strategy. He was appointed by former U.S. Secretary of Commerce Penny Pritzker to the National Advisory Council on Innovation and Entrepreneurship (NACIE). Panchanathan is a Fellow of the National Academy of Inventors (NAI), the American Association for the Advancement of Science (AAAS) and the Canadian Academy of Engineering. He is also Fellow of the Institute of Electrical and Electronics Engineers (IEEE), and the Society of Optical Engineering (SPIE). He is currently serving as the Chair of the Council on Research (CoR) within the Association of Public and Land-grant Universities (APLU). Panchanathan was the editor-in-chief of the IEEE Multimedia Magazine and is also an editor/associate editor of many other journals and transactions. Click here to download more information about our center.